«Proletarism» as some ideological trend can be defined as a variant of «tailism», that accept only productional proletariat as an exclusive bearer of the revolutionary ideology and rejecting the right to take a leading participation in the struggle of the working class for the representatives of all other social groups. Though only proletarian can solve the theoretical questions of struggle, in conditions, when intellectuals — the bearers of the scientific theory of communism are not recognized as the bearers of truth (proletarists usually recognize all the intellectuals as bourgouasie), that leads to tailism, «proletarists» just follow the backward masses, that cannot (as Lenin have shown) work out the revolutionary theory by their own. Treating badly the intellectuals, their potencial teachers, proletariat will never get out of the «economist» mire. 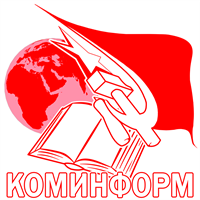 «Proletarism» in contemporary Russia is presented by the deputy Oleg Shein and the «Zaschita» trade-union. Both have shown their political misery, but despite this, some of Russian intellectuals are still under this smart «worker’s» rhetoric. Positioning themselves as communists, they cannot agree that in some cases communists can act against workers. «Red» russian nationalists, apologising nazi football fans, often take an argument, that the football fans are the «children of the worker’s districts», so, lefts should be against police, when police hit nazi with sticks. I’ve got an experience, when these «red nationalists» got very agressive to me, when I suggested that communists will shoot the nazi football fans’ riots with the mashine-guns. One of them said, that communists can «never shoot workers», but act only with propaganda. The same arguments present also anarchists, when criticise the policy of the Soviet power in the USSR. But why can’t? And if the wirkers are counter-revolutionary? June 22, 1918 — by the Red Guardy convoy the menshevik leader — worker Vasil’ev was shot. June 21, 1919 — during the economic strike on the Sormovo plant the security have made at least one shot by the croud of workers. I won’t say about periodical and systematical shots of the workers-«meshochniks» (people, who have been speculating food during the surplus-appropriation system) by the transport CheKa — they were acted during the Civil war on every ladge station. The problem si that the workers is getting out of capitalisn with all the defects of capitalism, it isn’t the ideal image, taken from the intellectual’s heads, that contemporary left propaganda (in the face of «Trudovaya Rossia or „ROT-Front“ papers») try to construct in the mass mentality, advertising every strike. I will say even more — communists, even getting the power, will have to conflict with the wide masses of the same workers, that some Russian «lefts» now advertise for more then 20 years, as revolutionary class. The conflict will be around the building of socialism — ladge part of workers will defend their local interests and will be ready to destroy any revolution to realise their petty-bourgous illusions. And the new revolution will have to repress the worker’s mass strikes against socialism the same as bolsheviks did during the Civil war. We have to look with the eyes open wide and see the workers as they are — with all their defects and illusions, but don’t make from the workers some kind of a fairy-tale prince on a white horse, as «proletarists» do. It’s better to compare proletarians with the babies, that communists shoudl lead, teach, heel and punish, too.